I have SOOOOOO much to say & no time at all. & really the best stuff has to be saved until a few things are concreted. Basically my life is insanely magical & I am beyond happy! 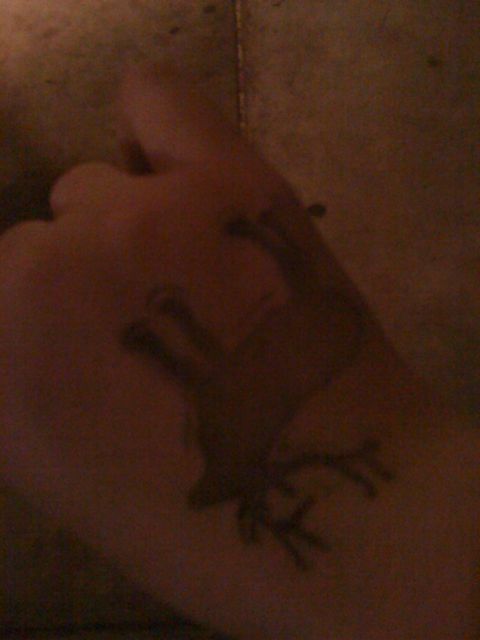 I leave you with a picture of my special stamp from the show last Friday. Everyone got a compass for entry. I asked for the deer & the guys asked “are you with the band?” I quickly replied “uh yeahhh (not hesitation but a tone of sarcasm) I’m the tambourine girl!” & so he stamped me. Half of my lifes dream accomplished. Success!